The Caribbean Tourism Organization (CTO) has released complete 2013 Visitor Arrival data for most Caribbean destinations. Brian Samuel looks at winners and losers. For us number-crunchers, the performance of the tourism industry is measured by several widely accepted indicators: stay-over visitor arrivals, cruise ship arrivals, average length of stay; occupancy and room rates, average spend and visitor satisfaction — to name but a few. The only reliable data we have for 2013 so far has just been published by the Caribbean Tourism Organization (CTO) — visitor arrivals. For analysts of the Caribbean tourism industry, the CTO’s annual Visitor Arrival Statistics are an invaluable source of hard data on the performance of the Region as a whole, and its constituent parts. Before looking at the numbers, I want to answer the question: Which are the most overcrowded Caribbean islands? You often hear travel agents gushing about so-called unspoilt destinations, hidden gems that exist in a state of purity before the hordes of tourists discover the place — and ruin it. So I compared the average number of tourists in a country at any given time with the number of residents; to determine which are the most overcrowded Caribbean destinations — and the most “unspoilt”. As you would expect; it is the small islands with big tourist industries that are the most overcrowded. But what you might not expect is exactly how crowded they are. If spoilage of a country is defined by the amount of tourists in it, then Haiti is the most unspoilt destination in the Caribbean. With a resident population of over 10 million, on any given day only 0.1% of all people physically present in Haiti will be visitors — there’s hardly a foreign face in the place. Compare this to Saint Maarten; where on any given day fully one half the people on the island (46.5%) will be visitors, whether from hotels or cruise ships. When several cruise ships are in town simultaneously, you literally cannot walk on the pavement — the place is crawling with tourists! The Virgin Islands, Turks & Caicos and Cayman Islands are also similarly crowded. On the other hand, with a population base of 2.7 million, Jamaica has a “tourist factor” of only 2%. This information is more important that simply how to find the emptiest beaches. Just like resident populations, tourists are consumers of goods and services in the islands they temporarily inhabit. They demand fresh food, clean water, electricity, air conditioning, good roads — and sewage disposal. Do the planners of Caribbean infrastructure take this into account when forecasting future requirements? Judging by the poor state of our infrastructure services, it’s a valid question. So, back to the numbers. First of all a matter of definition: who’s in, and who’s out? Call me a traditionalist but I don’t view Cozumel and Cancun as intrinsically Caribbean — they just happen to share the same Sea. If we include them then we might as well include all of Central America as well. There are some anomalies in CTO’s data: Trinidad and Tobago’s cruise ship arrivals are shown, but not stay-over visitors. Martinique is included; Guadeloupe is not. I have augmented CTO’s data from other sources, resulting in a group of 30 “core Caribbean” destinations. A total of 19.7 million people visited these 30 Caribbean destinations in 2013; representing an average growth of 3.6% over 2012 arrivals. While this is a creditable achievement given the continued global recession, it is lower than the average Caribbean growth rate of 5.3% achieved in 2012. The country reporting the highest growth rate was Montserrat with 36.3% — but this is from a very low base. Among the Caribbean’s larger tourism destinations, Aruba (8.3% growth), Cayman Islands (7.4%) and Dominican Republic (2.8%) are the top performers; Jamaica (1.1%) and Cuba (0.4%) held their own; while the Bahamas (-4.1%) and Barbados (-5.2%) were this year’s underachievers. The Caribbean includes vastly differing destinations, from the Dominican Republic with 66,968 rooms and mega-hotels upwards of 1,500 rooms each; to boutique destinations like Anguilla with all of 547 hotel rooms in total. What may surprise some people is that Cuba is the second largest Caribbean destination with 56,782 hotel rooms; followed by Jamaica with 30,347 rooms (although this number will have grown since 2010). It may also surprise you that since 2009 only two Caribbean destinations have never seen a reduction in their annual visitor arrivals: Cuba and Jamaica, which grew overall by 17.3% and 9.8% respectively over these past five years of troubled times — creditable achievements. So how are Caribbean hotels faring? With an industry assailed by crippling taxes, outrageous energy costs and years of discounted room rates; the better question to ask is: How are Caribbean hotels surviving? Somewhat surprisingly, the financial health of the sector has been improving of late, according to the CTO. Average occupancy rates for 2013 were reported at 67.1% — considerably better than the 59.9% reported for 2010. Average rates for 2013 were US$185.55 per room per night, up US$10 from last year’s average. This will be good news for the region’s beleaguered hotels — and the banks that finance them. Globally, the Caribbean is the most popular destination for cruise ships, accounting for 45.3% of worldwide ship deployments in 2013. In 2013, more than 19 million cruise ship passengers visited 22 destinations in the Caribbean (excluding Cozumel), an increase of 4.1% over 2012. A word of caution on the numbers: this does not mean that 19 million cruise ship visitors actually stepped onto Caribbean shores. Cruise ship data measures the total capacity of the ship; not the number of passengers on board; nor those actually getting off the ship. Usually, no records are kept of the number of passengers disembarking — they just stroll off the boat. The biggest cruise ship destination in the Caribbean is the Bahamas, which attracted 4.7 million visitors in 2013, or 25% of the Caribbean total. Most of the major cruise destinations recorded increases, with Curacao showing the highest growth at 41.4%. Jamaica’s cruise ship arrivals shrank by 2.4% — scant reward for the Port Authority of Jamaica’s reported investment of US$167 million in the Falmouth Cruise Ship Pier, a public-private partnership (PPP) with Royal Caribbean Cruise Lines (RCCL); which opened in 2011. 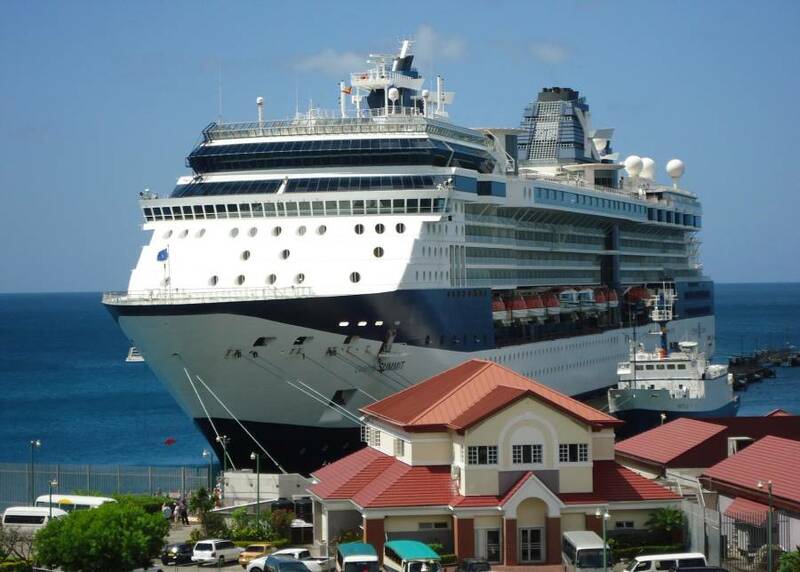 Grenada is at the bottom of the cruise ship performance league, with a 21.8% drop in arrivals recorded in 2013. For the first time in a long time, the outlook for the Caribbean tourism industry is actually not bad. Economic conditions in the main European and North American markets are finally approaching something like a sustained recovery, and tour operators are reporting strong advance bookings for 2014. Added to this, from 1 April, 2015, the UK government will reduce its Air Passenger Duty (APD) on long-haul flights. Taxes on flights to the Caribbean will be reduced by £16 per person — a small but welcome boost for the industry. Although the market outlook may be favourable, the tourism industry isn’t out of the woods; not just yet. On the other side of the equation, Caribbean hotels need to materially reduce their operating cost levels. 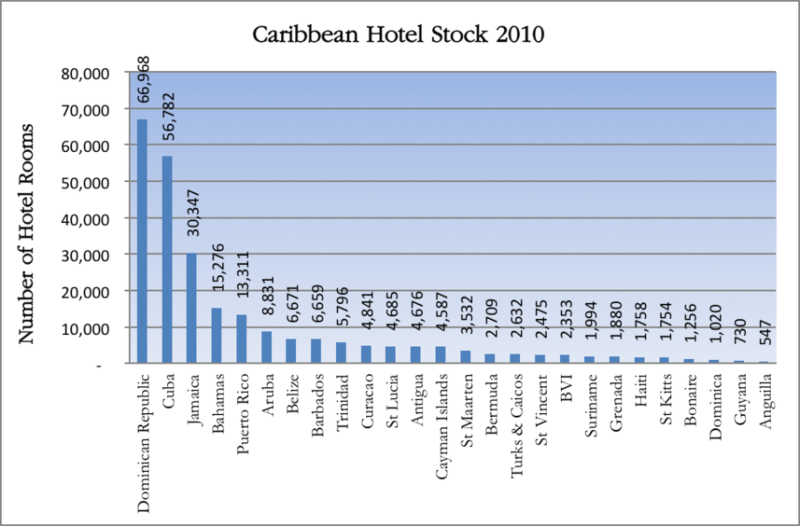 Despite offering generous fiscal incentives for new hotel construction, Caribbean governments routinely charge high import duties and VAT on imported hotel supplies — no wonder our cost levels are among the highest in the world. For example, electricity rates in the Caribbean are typically around US 35¢ per kilowatt-hour, versus 12¢ in the USA. It is essential that Caribbean hotel owners, management companies, governments and financiers all put their heads together; to come up with sustainable solutions to reduce the industry’s high energy consumption and costs. Otherwise we will be forever “spinning top in mud”!